Santiago - LATAM Airlines seek to become one of the three largest airline groups in the world by 2018 supported by an extensive network and competitive costs, despite of the complex regional economic scenario and adverse outcomes in recent years. In its annual report, the conglomerate - formed by the Chilean airline LAN and the Brazilian TAM - explains its plans to unify its brands and strengthen hubs within two years in order to get a better position in the competition with US giants, Europe and Asia. LATAM Airlines, which is headquartered in Santiago, has operation units in Argentina, Brazil, Chile, Colombia, Ecuador and Peru, countries which together account for about 90% of the regional traffic. "The idea is to make LATAM a global operator and prepare them to be able to compete in the big leagues of global aviation business," said Enrique Cueto, CEO of LATAM, in a letter to shareholders of the company. After collapsing in the early years since the creation of the group, LATAM shares have risen nearly 25% this year. But the gloomy economic scenario in the region, especially in Brazil - the main market of the group - has hampered the performance of the group created in 2012 following the merger of LAN and TAM. In fact, since its inception LATAM has only had gains in three quarters. LATAM Airlines Group, as part of its brand unification initiative, has brought all of its affiliated cargo operations under a single brand: LATAM Cargo. 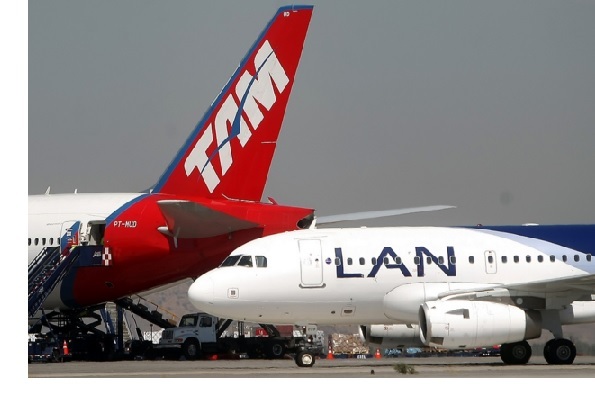 LATAM announced last year that all of its subsidiaries, which most prominently include Chile’s LAN Airlines and Brazil’s TAM, would all be branded “LATAM” by 2018. It is uniting LAN Cargo, TAM Cargo, LAN Cargo Colombia and Mexico’s Mas Air under the single banner of LATAM Cargo. Together, the four carriers fly cargo to 140 destinations in 29 countries. “Apart from representing each affiliate’s best and offering consistent and impeccable service, this change also involves an evolution internally in relation to how we do things, how we deal with issues and how we come up with solutions,” LATAM Airlines Group EVP-cargo Cristián Ureta said in a statement.